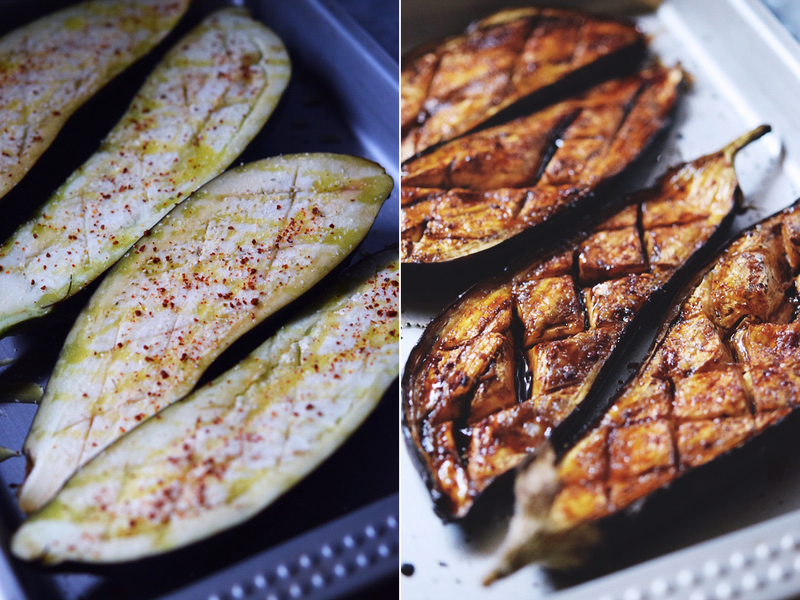 Couple of days ago I made this delicious roasted eggplant dish. 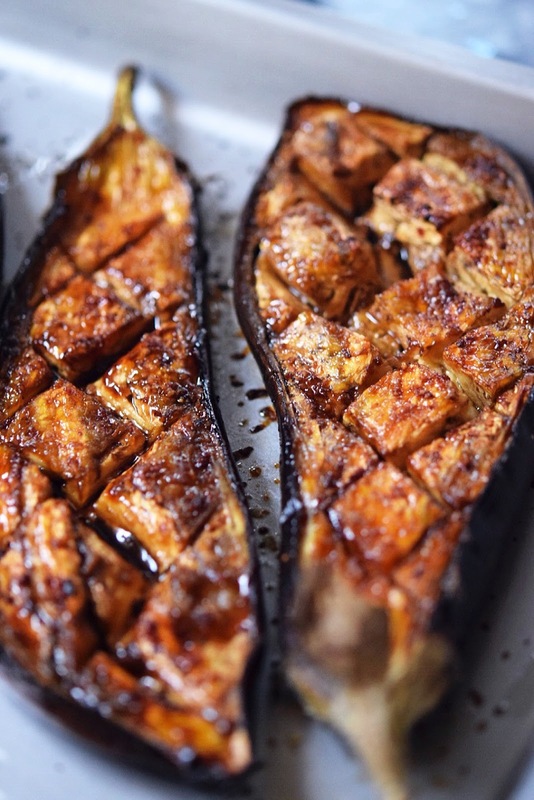 I was planning to make something totally different, the Greek style eggplant salad, but while roasting the veggies I remember I have left over of sweet and sour sticky glaze and why not to use it on eggplants. 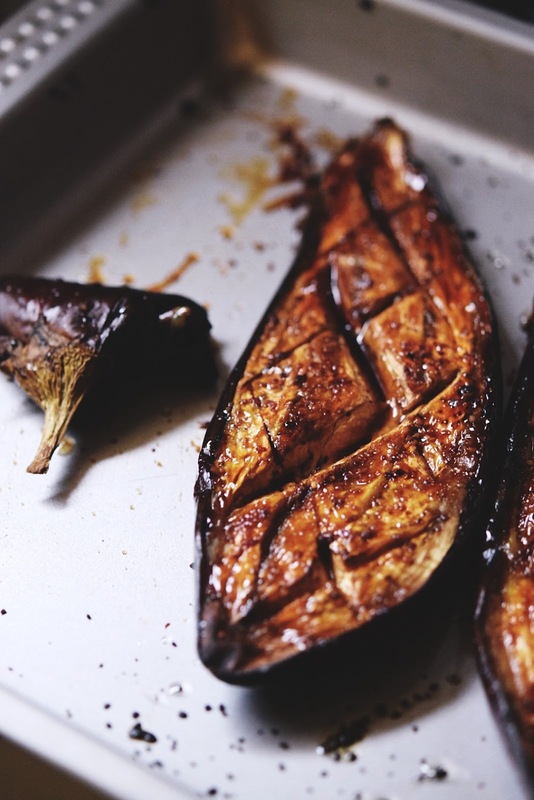 You can eat the eggplants straight from the tray if you like (mind your tongue! ), or smeared on a rye bread toast, topped with some semi dried tomatoes. I had them with toasted sesame seeds and a handful of cilantro leaves. Prepare the glaze. Mix all the ingredients in a saucepan and cook over medium heat until the mixture deduces by half. 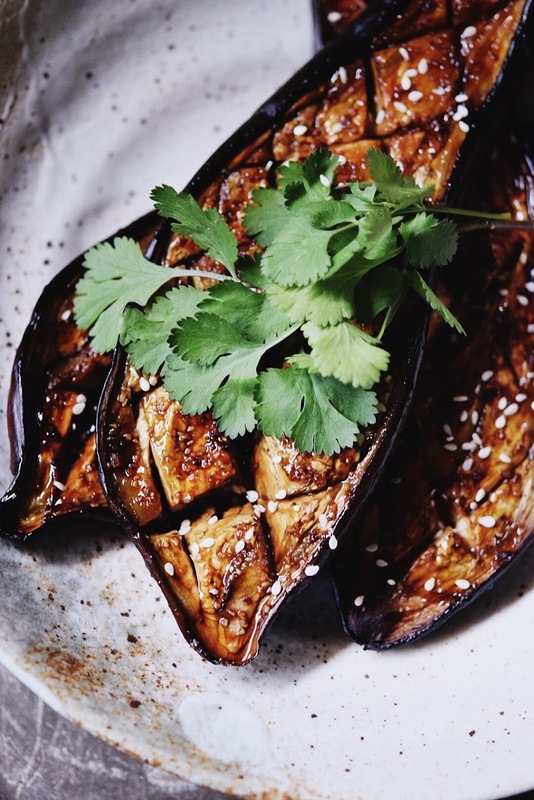 Set aside while you prepare the eggplants. 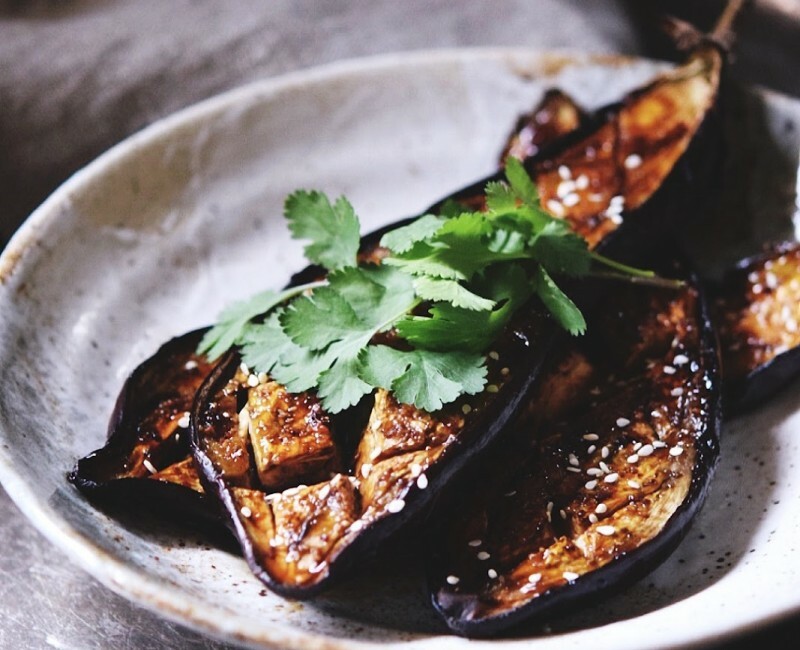 Cut the eggplants in half and with a sharp knife cut across the halves without piercing the bottom skin. Place them onto roasting tray, sprinkle with salt, chili flakes and drizzle with a little bit of olive oil. Cover the tray with a parchment paper or aluminum foil and bake for about 30 minutes in the oven preheated to 200C. Remove the tray from the oven, discard the foil. You will not need it for a further baking,so you can throw it away. Using a pastry brush generously glaze the eggplants with the sticky glaze and bake for another 15-30 minutes, depending on the size of your eggplants. Serve warm, sprinkled with sesame seeds and fresh cilantro or parsley leaves. Enjoy!